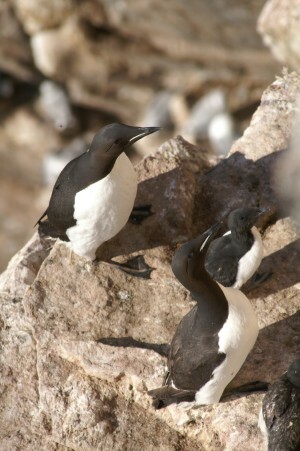 Besides geese (barnacle and pink-footed geese) and ducks (eiders) we are very interested in kittiwakes and Br�nnich�s guillemots as a potential host for influenza viruses. 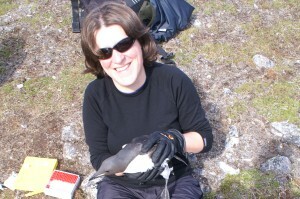 In the past we have been able to detect new variants of influenza viruses in both gull and auk species. 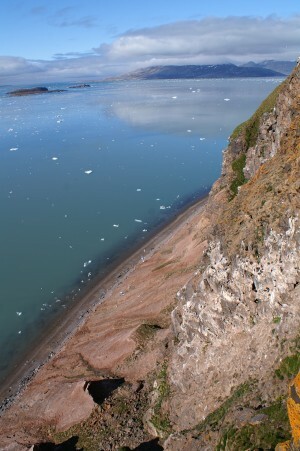 These birds are nesting on the bird cliffs of Spitsbergen. 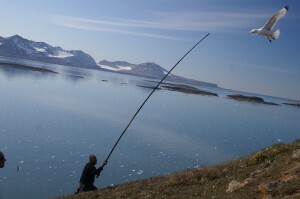 Our bird cliff (Ossian Sarsfjellet) is located approximately a 45 minute boat ride from Ny Ålesund. The birds can be reached by hanging over the top of the cliff. 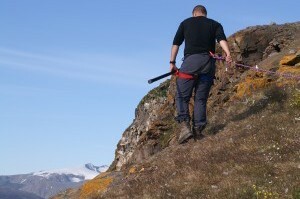 To ensure safety while catching, the catcher is attached to an anchor point via a climbing harness and rope. 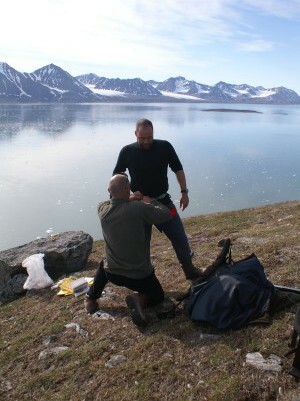 If the catcher would lose his balance an involuntarily plunge into the depth is prevented by this construction. 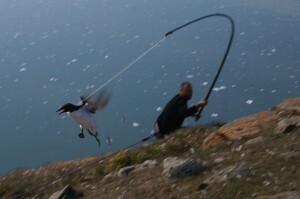 The birds are caught using an 8-meter long fishing rod with a loop attached. The loop is placed over the head of the bird. 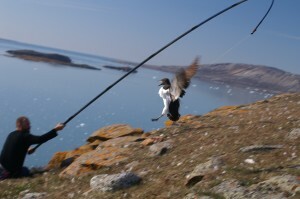 By pulling the loop is tightened and the bird can be removed from the cliff. 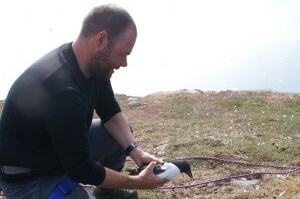 The birds are rapidly removed from their tight position in order to be sampled. 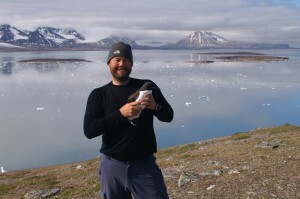 This page has been given the following keywords: [kittiwake] [birdhealth] [guillemot] [catching] You can click on each keyword to get an overview about related pages.